On Sunday January 15, 2012 the Adirondack Almanack posted an article about an ‘Exhibit of Stoddard Views Coming to Chapman Museum“. This museum exhibit has an interesting connection to Adirondack Flora, so it is being shared here as well. 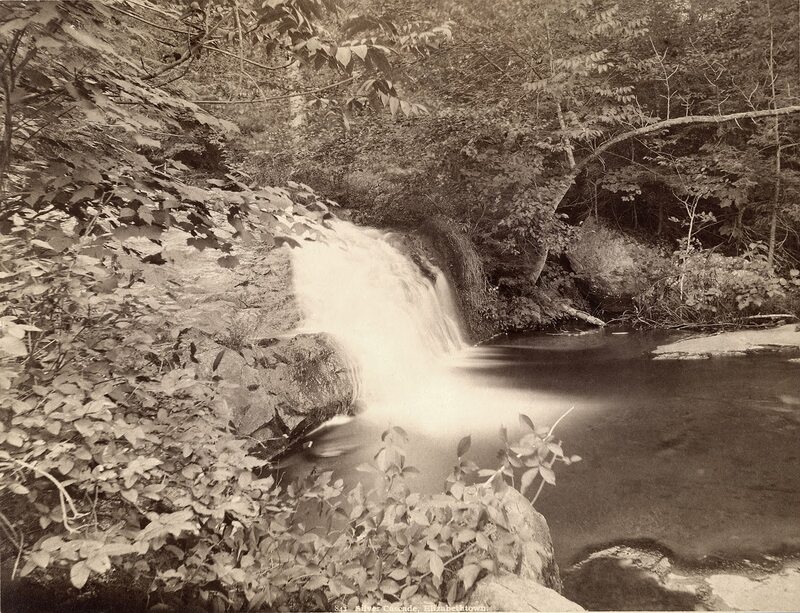 Long considered beautiful photographs of the Adirondack landscape, Seneca Ray Stoddard’s views also serve well as documents of the plants that inhabited the region in the 19th century. The Glens Falls Historical Society’s Chapman Historical Museum’s summer exhibit, S.R. Stoddard’s Natural Views, which will run from May 4 through September 2, will feature fifty enlarged photographs of different Adirondack settings – lake shores, marshes, meadows, riverbanks and mountainsides. Highlighted in modern color images will be examples of the plants discovered in Stoddard’s photographs — from small flowers to shrubs and trees.